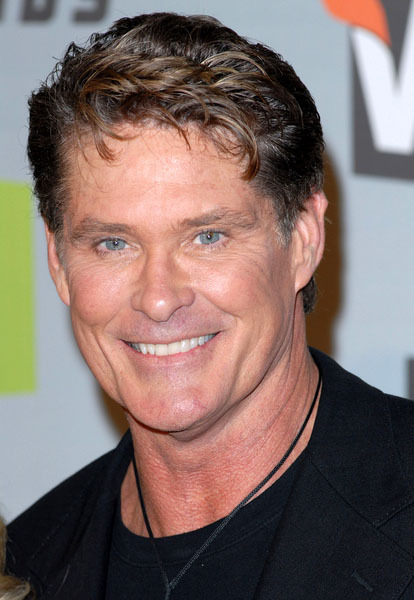 The Hoff was the special celebrity guest on Big Brother this week. He was promoting the show 'Same Name' where a normal person with the same name as a celebrity switches lives with them. It is the Simple Life minus Paris Hilton...so it could be good. Who knows. There was a game around who it was. They put out objects and the contestants had to figure out who the celeb was. 3 bars of soap and some theatre binoculars was the first clue. Jordan got it right on the first clue. The second clue was a microphone and Porscha guessed Michael Jackson. Right, because MJ is going to come back from the DEAD to be a guest on BB. What the hell is wrong with people? Is this broad really that stupid? Agh, she probably is. Big Brother is a brain melt. But an addictive brain melt.